There will be a strong contingent of referees representing NSW at this year’s prestigious Dallas Cup international youth tournament to be held on Sunday 14th of April with the finals concluding on the 21st of April. Emma Kocbek (Nepean Branch), Chloe Gray (Macarthur Branch), Cameron Wright (Macarthur Branch), Bradley Wright (Macarthur Branch) and Paddy Reynolds (Canterbury Branch) will be joined by assessor and Football NSW’s Referees Appointments Officer John Bowdler and NSW State League Football Referees Director Sandro Perticarini in what will be an experience of a life time for all involved. All officials are part of the NSW State League Referees Association, will also use this tournament as a great opportunity to further develop their skills on the world stage in front of a pretty impressive audience. John Bowdler, a veteran of these Cups, is eagerly anticipating the trip which will further benefit these selected future referees. “It’s pretty exciting as the Dallas Cup is such a huge tournament and I know all five are really looking forward to it. 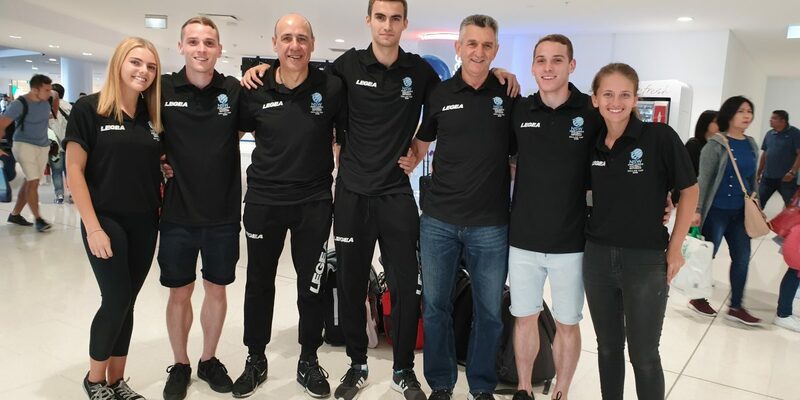 A total of 200 plus elite referees from around the world, many with international league experience will officiate tournament matches with these lucky NSW officials flying the flag for Australia. The Dallas Cup has enjoyed a rich history of combining marquee teams and talented up and coming players and has been an annual event held during Easter week. As many as 180 teams divided into seven age categories ranging from U13s through to U19s will be on show in 2018. It is estimated that over 900 international players participate in the tournament each year and on average the Dallas Cup entertains over 100,000 spectators during the week-long tournament. The Cup has also played host to a number of football stars who participated in the tournament before making it big as the likes of English stars David Beckham and Wayne Rooney, Spanish legend Raul, Mexican ace Chicharito U.S. players Landon Donovan, Clint Dempsey and Michael Bradley as well as retired former Socceroos ace Harry Kewell have all taken part in this mega youth tournament.